Though we have had more rain than sun over the last few days, strawberries are starting to ripen and Pick-Your-Own fields are planning on opening to the public over the next couple of weeks. Festivals are set to gesture in summer with all things strawberry. On Father's Day, June 18 the Wadhams Strawberry Festival takes place at the Wadhams Church Hall. 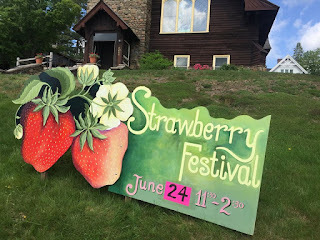 St. Eustace in Lake Placid is hosting their strawberry festival and craft on June 24 from from 11:30 - 2 pm, right on Main Street in Lake Placid. Rulf’s Orchard in Peru is holding their annual Strawberry Festival on June 24 with a bounce house, vendors, strawberry shortcake eating contest and wagon rides to the U-Pick patch. 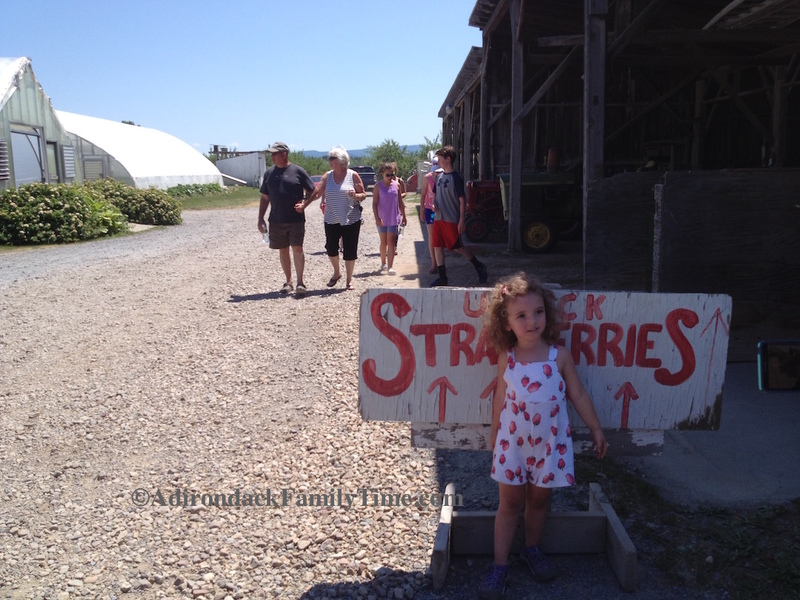 Rolf's strawberry fields are open for U-Pick. Anyone can also pick up a quart of berries at the near store. Country Dream Farm will be offering free horse and wagon ride to the fields. Raquette Lake is whipping up fresh strawberry shortcake while Crown Point will host its annual celebration of those delicious red berries. On Sunday, June 25, from 11 am to 4 pm the First Congregational Church of Crown Point Annual Strawberry Festival and Classic Car Show will showcase a variety of activities from amusement rides to a classic car show. Look forward to a BBQ and even more opportunities to indulge in some shortcake. There will be live music, BBQ and even amusement rides and bounce house. Just in case you want to wait a bit for a strawberry treat, Chestertown’s Strawberry Festival and Craft Show takes place on July 1 from 9 am – 3 pm at the Community Methodist Church. Look forward to all sorts of ways to indulge in strawberries over ice cream, in malts or part of strawberry sundaes. 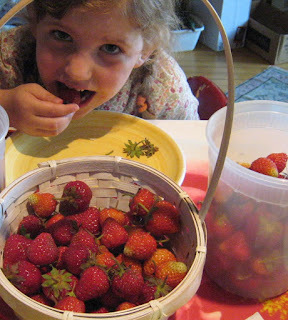 U-Pick Strawberries and my daughter will eat them! The July 1 Raquette Lake Strawberry Festival is an opportunity for locals and visitors coming to the area to connect with summer friends, while supporting a worthy cause. The summertime dessert will be served starting at 11 a.m. at the Raquette Lake Fire Hall. The money raised benefits the Raquette Lake Fire Department and serves as a great kick-off for summer. This is a long-standing tradition. Jimmy Pohl with Raquette Lake Navigation makes the homemade strawberry shortcake. So stop by, rain or shine, and see all the area events scheduled for the summer in Long Lake and Raquette Lake. If you want to go out and pick your own, try Tucker’s Farm in Gabriels, Rulf’s in Peru (June 21-July 15) or Pray’s Farmstand in Keeseville (mid to late June). Call first to make sure the ground is dry enough to venture out to the patch. Enjoy!